Maintaining a healthy degree of scepticism is always a wise policy in life, especially when you're faced with a seemingly endless number of companies trying to tempt you to spend your hard-earned cash. 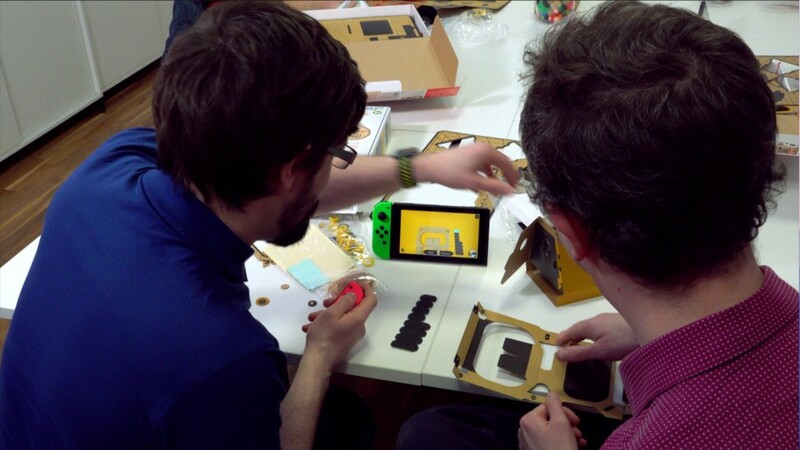 It's a practice we regularly employ in both our personal and professional lives here at Nintendo Life, and it's fair to say that, like a great many other people, we were slightly bemused at the news that Nintendo was embracing Virtual Reality via its cardboard Labo range. The hardware's not powerful enough. The screen is too low-resolution. Labo's not the right vehicle for this. It's going to look like a joke compared to PSVR, Oculus Rift and HTC Vive. You have to hold the headset when you're using it. These were all points that will have been discussed on this site and all over the world; Labo VR certainly 'fits' into Nintendo's way of doing things, but surely it can't provide a solid and enjoyable experience when you consider how much effort has gone into creating other high-tech headsets? What is going to make this any better than those lousy plastic smartphones VR headsets you see in bargain bins all over the world? This month, we got the chance to find out, as we were lucky enough to go hands-on with the VR kit at Nintendo UK's headquarters. 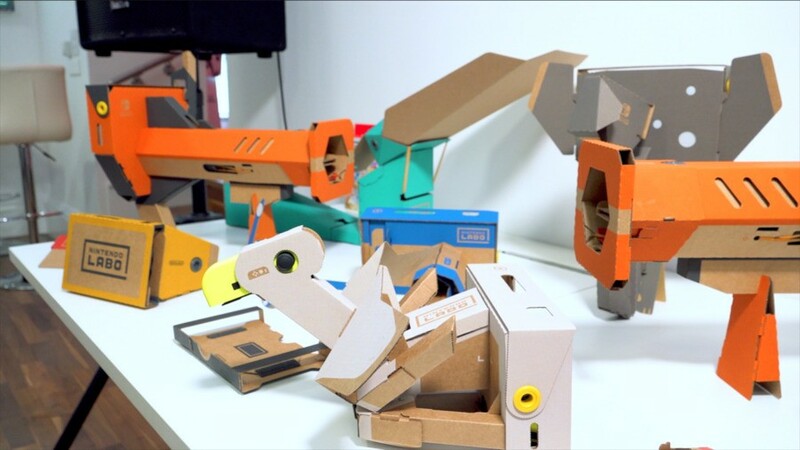 It turns out that a lot of the concerns we had with the concept proved to be largely unfounded, but what's equally surprising is some of the other cool things Nintendo is trying to do with this new Labo kit – some of which aren't connected to VR at all. Before we get to that though, let's discuss the basics. Yes, this is another Labo offering, and that means a few hours of assembly before you get to the good stuff. 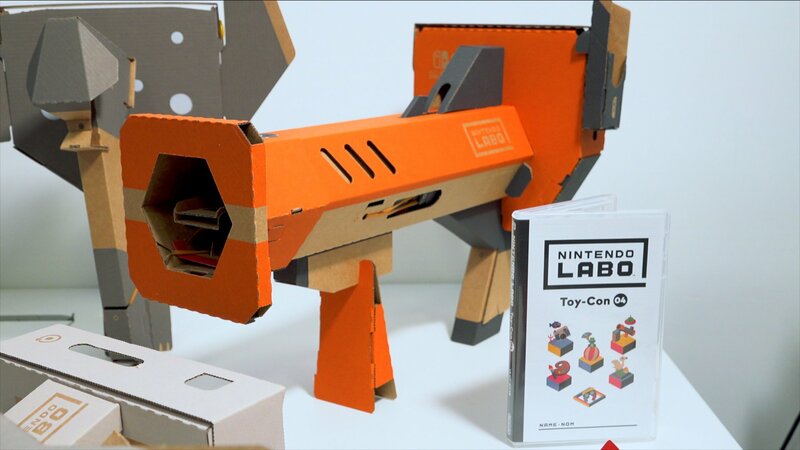 For those of you who lived through the Labo Vehicle kit – which took days to fully construct and practically required a house extension to store when not in use – this might be off-putting, but with the exception of the Toy-Con Blaster, these kits are more compact and some of them even come with handy 'fold away' modes for more convenient storage. The core of the Labo VR experience is the VR Goggles Toy-Con, into which the Switch console is inserted. This acts as a detachable caddy which can be bolted into the other Toy-Con; this modular approach makes it easier to shift between each experience. The VR Goggles can also be used independently for other, small-scale experiences, which is something we'll touch upon shortly. The meat of the experience is going to be based around the five Toy-Con modules which are present in the full-fat Labo VR kit. Of these, the Blaster is perhaps the most engaging (which is presumably why Nintendo is also selling a cheaper kit which only includes the Blaster, VR Goggles and Game Card); it has a realistic pump-action (complete with a recoil effect) and the games included are deep and enjoyable affairs; one is an on-rails shooter where you're tasked with taking down a horde of blob-like aliens (not to mention fearsome end-of-level-bosses) using standard, homing and 'bullet time' shots, while the second game is a local multiplayer setup, with each player trying to tempt as many hippos as possible by firing a selection of fruit into their gaping mouths. In typical Nintendo fashion, there's more depth to these games than there might seem at first; in the hippo-catching game, for example, you can hit a tree in the centre of the arena and cause fruit to tumble into the pool, potentially capturing several hippos with a single shot. It's even possible to steal hippos from your rival, leading to some tense matches where the score reverses in a single shot. While the gameplay is different, it reminds us a little of the Fronk-hurling 'Islands' mode in Game & Wario, where similar changes of fortune were possible when you got just the right shot. What makes this experience all the more appealing is the fact that it's super-easy to pass the headset to the second player; because it's not strapped to your face, there's no awkward or time-consuming fitting process – it's as effortless as passing someone a normal game controller. This is a key point that's worth focusing on; it might be considered a weakness – you're clearly sacrificing immersion here – but on the flip side, you never feel 'chained' to the hardware, as is sometimes the case when playing with other VR headsets, especially those which rely on wired connections. That's curiously liberating. There's another reason that Nintendo has taken this approach – according to the company, by making Labo VR a 'strap-free' experience, it has been able to get that all-important 'ages 7 and up' rating on the box. Other headsets have been lumbered with higher ratings which, of course, creates a barrier to entry for a sizeable part of its audience, which Nintendo is naturally keen to avoid (a lesson perhaps learned after the 3DS). The company has even included a non-VR mode in this package, where even younger players can simply insert the Switch into the Toy-Con and look at the screen, sans VR Goggles. What really surprised us is that one of our biggest reservations – the Switch's 720p resolution – proved to be somewhat exaggerated. Sure, the visuals do look a little pixellated (and there's a slight bit of ghosting due to the latency of the LCD panel), but when compared to how blocky some PSVR games appear when playing on a standard, non-Pro PS4 system, it's not anywhere near as big a gulf as you might suspect. Naturally, the geometry seen in your average PSVR game is more complex than anything Labo VR can muster, but Nintendo's cartoon-like approach mitigates this to a degree. While there's naturally no positional tracking, the Switch's Inertial Measurement Unit is more than up to the task of accurately replicating your head movements – both subtle and extreme – within the game; we didn't experience any motion sickness or feelings of detachment. It's also worth mentioning that the 'one size fits all' approach doesn't seem to suffer from any issues with focus; we could see everything clearly within the headset. The somewhat open nature of the VR Goggles design also avoids the lenses fogging up with perspiration, which is nice. Elsewhere, there are thoughtful design choices that show Nintendo has taken its time with VR. Turning on VR mode is, by default, done with an on-screen command, but you can enable a setting which uses the console's ambient light sensor to detect when it is inserted into the VR Goggles Toy-Con, and have it automatically turn on VR mode. 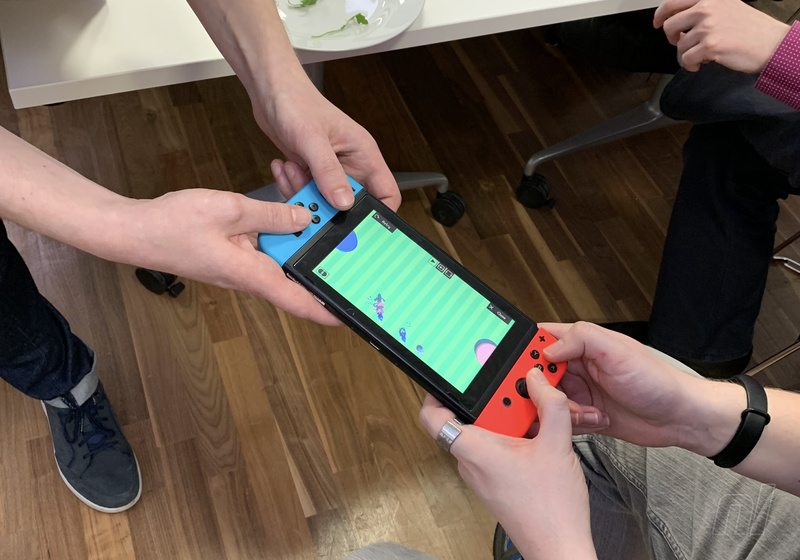 Accessing the menu in each game is a case of double-tapping the top-right corner of the Toy-Con you're using, the vibrations from which are picked up by the Switch's motion sensor. If you need to pause the action at any time, you simply remove the Goggles and press the pause command on the bottom of the screen – which remains accessible because that's where your nose would normally reside. Despite the ramshackle appearance of a cardboard VR headset, it's clear that Nintendo has thought of pretty much everything. Our hands-on time was mainly focused on the Blaster Toy-Con, but we did get to see some of the other modules in action. The Camera Toy-Con places you in an underwater environment, allowing you to satisfy all those unfulfilled Jacques Cousteau fantasies you've had since you were a kid. The Bird Toy-Con takes place on an island not entirely unlike the one seen in Pilotwings Resort, tasking you with completing missions and generally exploring your surroundings. The Wind Pedal Toy-Con is built around a mini-game where you assume the role of a frog in a circus, and you must leap skywards on floating platforms in order to get the best 'height' score (the pedal creates a gust of wind on your face, giving the impression that you're soaring through the air). Finally, the Elephant Toy-Con features an amazingly deep art package, allowing you to create 3D pictures, as well as solve spatial puzzles involving marble runs and other brain-benders. There's a stunning amount of content on offer here. Nintendo has even thought out of the box for some VR ideas; a pair of cardboard glasses included in the package might seem like an afterthought, but – thanks to a set of reflective discs and the power of the Joy-Con IR sensor – they allow a second player to 'step into' your world. The IR sensor watches the movement of the reflective discs on the glasses and turns your friend into an entirely different character within the game. It's yet another justification for Nintendo including the IR tech in the Joy-Con; how wrong we were to doubt its potential back in 2017. However, perhaps the most exciting element of the package is the VR Garage. Not to be confused with the Toy-Con Garage seen in previous Labo kits – which required you to build your own cardboard creations and add interactivity in some way – this is a surprisingly rich programming package which allows you to create game experiences in a wide range of genres – many of which are designed to be playable in VR. You can craft a FPS, a driving game, or even a clone of Super Smash Bros. – in fact, the latter was demonstrated during our hands-on, and while it's clearly a limited reproduction, all of the essential elements were present. Oh, and remember that Othello game that was shown during the Wii U's initial trailer, where two players competed on a single GamePad? There's a soccer-based take on that in Labo VR's Garage. Labo VR comes with 64 pre-made games in the VR Garage, all of which can be edited by the user. By doing so, you get a taste of how the node-based programming tool works. You can either turn these pre-loaded games into entirely new creations, or you can create 64 of your own examples from scratch. As we said, many of these experiences are totally independent of the VR Goggles, and that's what makes this element of the package so exciting; it's so deep and feature-rich that Nintendo really could easily have spun this off as a stand-alone programming tool. The fact that it shares a common UI bond with the Toy-Con Garage seen previously means Labo addicts will feel right at home, too. The only negative is that Nintendo doesn't plan to allow players to share their creations with others; that would, we're told, mean a higher age rating and could potentially lead to younger Switch owners being exposed to questionable content. It's fair to say that we entered the Labo VR hands-on session with feelings of trepidation, yet we left it feeling more confident than ever that Nintendo is really onto something here. A lot of thought has clearly gone into ensuring this is a fun and varied experience, and the addition of the VR Garage mode offers an almost limitless amount of entertainment, both with and without the VR Goggles. 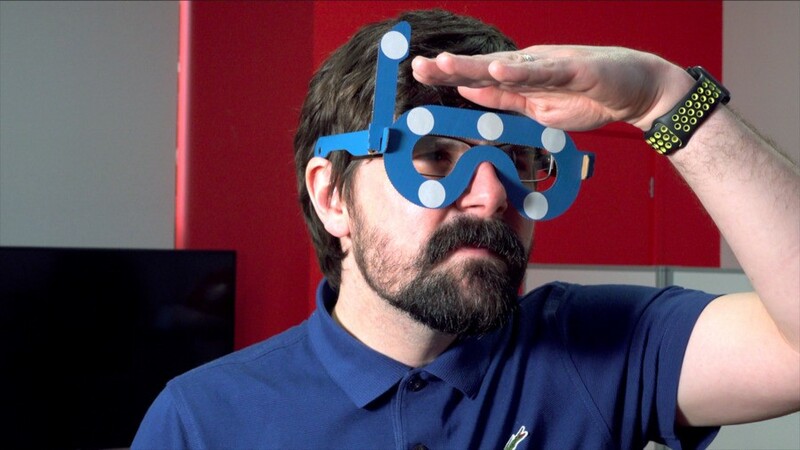 When you consider that you can get that – as well as the Blaster – for just £35, it's an incredibly tempting entry point for any family that has been toying with the idea of investing in VR. Will it poison the well, as some have feared? We certainly don't think there's any danger of that; in fact, it could prove to be the perfect gateway drug to build a new generation of VR-ready players, and who knows – Nintendo may even use its experience from this package to create a more substantial VR offering in the future. Still not seeing anything that will change my mind. This just doesn't seem like a good idea. It sounds more feature packed than I expected and it's good to hear that Nintendo have a solid approach to the tech even in such a low end form. I dont think that VR is really ready to take over yet (if ever), but I do plan on getting an Oculus Quest and Labo VR this year. More than meets the eye? VR in disguise? Cheap and with tools to do your own games? Sold! I think the elephant one sounds interesting. This will be my first labo kit but I think I might buy it! I’ll probably get the base kit with the elephant add on kit. Sounds like fun! I’m getting it. I’ll try the starter kit. Looks great. PSA: Nintendo updated the Labo VR website so you can see what some of the games look like! Yeah, I just saw the video on the Switch news feed, too. SOLD! VR Garage mode?? Yup. Still feels like a stepping stone product or a proof of concept thing. The price makes it more palatable than the other Labo sets too. Wow those crazy toymaker's sound like they may actually be able to pull this off. Any video of LABO VR gameplay, please ? It really seems like they’re learning from the shortcomings of previous Labo kits. I’m even more excited for this now. Can’t wait to experience this! How many eyes do you need if it meets more? @SimplyCinnamon53 Sweeeet, thanks for that! I need to check em out! @PBandSmelly 😲 how dare you have an opinion, and in 2019 nonetheless! i'm really impress, more so than the other the Labo Kits. Looks better than I was expecting. Certainly a decent amount of content here, and some of the kits themselves are really well thought out in their use. The sculpting elephant was pretty neat. I expect it to go the same way as stereoscopic 3D; get attention at first, be mildly entertaining, then discarded and forgotten about until the idea becomes vogue again in another couple of decades. 3D and VR become fashionable every now and then, but are never enough to replace, or even lastingly augment, actual content. @Franklin It's very clear that the sim community uses it extensively for augmenting their games. Obviously headsets need to improve in various ways before it becomes normal to augment all types of games, but for the early adopters that do this, they are experiencing much more enhanced versions of those games when executed correctly, but with the caveat of using 1st gen hardware. 3D isn't really it's own thing. It's just a 'mode' for content, whereas VR is a medium and effectively a human experience machine, which means it's always going to be relevant. There is more than enough investment now for VR to never fade away again, and will likely only grow exponentially. But as you should know, exponential growth feels slow at the bottom of the curve. This looks considerably more involved than I expected. @Franklin Meanwhile I've been blasting mechs for hundreds of hours in VR. For the flight, space, and mech sim fans, VR isn't going anywhere. We finally have 1:1 motion tracking in games. Unfortunately, it tried to hit while the cost of the tech is too prohibitive to reach the visual standards people have come to expect. But if you're running the Pimax 5k+ with a computer that can handle it, and software that is more than just a tech demo (I play a ton of Vox Machinae), it's the only way you want to game. You just had to spend $3-5k to do it. @Heavyarms55 "Still not seeing anything that will change my mind." Probably because you're not the target market. I'm excited about building and playing this! I've really liked all the Labo stuff so far, so that's no surprise, but this sounds like the best Labo kit yet. Creating my own 60fps first person shooters on Switch sounds amazing! I'm guessing I could create some kind of 3D platformer too? I'm also generally loving all VR because it seems to almost always run at 60fps or higher. Oh, and someone mentioned stereoscopic pictures being a fad. I still have Magic Eye books, as well as other 3D picture books(one has 3D pictures of Abraham Lincoln). I think the new Nintendo 3DS (not XL, so it looks sharper) is the greatest handheld gaming device yet created(way more portable and pocketable than Switch, which is still my favorite game system ever created, so far). I guess I'm saying I appreciate well done 3D. Also, 3D can make an image or movie seem more real and magical than 2D. It's kind of like how something running smoothly at 60fps looks more solid, real, and high quality than some cheap game running at 30fps or some unlocked juddery frame rate. 60fps also can create a magical feeling of "being there" in a way that lower frame rates don't. The 3D picture puzzles in Streetpass Plaza on 3DS look amazing and magical because they have perfectly implemented 3D at 60fps. Don't get me wrong, I love the 3D Zelda games on 3DS, but imagine how magical they would look at 60fps in 3D?! The 3D picture puzzles give an inkling of what it could be like to have Zelda, Mario 3D Land, and an imaginary Metroid game running in 3D at 60fps. I wish a more powerful, but with the same resolution, 3DS was coming out! Nintendo is really killing it. The Indie showcase was great and now we see that they’ve truly created an exciting new platform in vr Labo. I just preordered this so me and my daughters can play and create our own vr games. Well done! @Mountain_Man I fully realize that. Doesn't mean I lose my right to have an opinion and comment on the article. I doubt anyone who frequents this site is in the target audience. Now that I know what the Elephant Arm attachment is for, I'm excited to try out that kit the most. Can't wait to doodle in 3D for 20 bucks(I know, this doesn't include the blaster starter set). Yeah, I was interested enough to pick up the starter kit. But after seeing the software in motion, and reading this, I’m in for the whole kit now! Whether you are part of Labo's target audience or not, I think it's pretty clear from the software shown that Labo isn't just "Google Cardboard but with Nintendo branding." I'm surprised that their hasn't been a VR game creation tool on other VR devices before. The one shown for Labo reminds me of a toned down version of Dreams. It doesn't mean we lose our right to disagree or react on said opinion of yours as well. @MH4 that’s what I was thinking. The fact that they’ve added a “fold away mode” pricked my ears. Space is limited where I am and having a ton of boxy clutter everywhere doesn’t appeal , regardless of how good the experience is. If I can fold it up and slot it somewhere, great! ...as a parent, I think they have absolutely nailed this! I had a oculus go and would never have let my kid go on that and I got bored of it but this just looks really fun. The 64 games on the plaza, loads of humor, you can’t wear it for too long (no strap) , the creative aspects of making and designing. The wind pedal is kinda genius too. Bravo. It may loose appeal after a while bit for $35 there’s a lot of entertainment value here. The VR stuff is pretty cool and impressive, but the main selling point for me personally is the VR garage. It just looks so interesting. Dares more to Ireland den dis. And it's shame that there's no head strap. I can't see myself holding onto it for a long period of time. But ya, Wind pedal and elephant are both brilliant. Can you upload your creations in garage for other people to use? @Damo Does the VR garage have online sharing, or any other way of sharing your creations? EDIT Just re-read the article and it specifically says no. oh well. While this is not for me (though a little tempted) this is why I am a nintendo fan. They are willing to try crazy creative stuff. "The only negative is that Nintendo doesn't plan to allow players to share their creations with others; that would, we're told, mean a higher age rating and could potentially lead to younger Switch owners being exposed to questionable content." @Damo Yeah, as very, very cool as all of this Labo VR stuff is looking, that one is a huge miss on Nintendo's part imo. Imagine, some really creative person could build a close approximation of say Pokemon Snap for Labo VR (using the VR Garage mode and the camera Toy-Con as the controller) . . . and no other Labo VR users would be able to experience/enjoy it. Christ, I've been saying since before even the original Wii that a total system-selling feature of a new Nintendo console would be to build a creation suite like this Labo VR Garage directly into it at a firmware/software level, available to everyone out the box for free, and just let people go at it and then share their creations with everyone else who owns the console--and STILL Nintendo hasn't quite clicked to the true full potential it has at its fingertips to create something genuinely paradigm-shifting. It would be like have Little Big Planet and Dreams and Labo VR Garage mode bundled with your console day one. 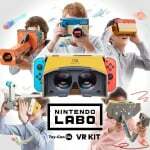 Still boggles my mind that Nintendo hasn't fully embraced this idea yet, because of all the companies out there, I think Nintendo could probably pull it off better than anyone, and the example(s) in this Labo VR Kit really show off this huge potential imo (all the 64 mini games plus the VR Garage mode)--but you can't share anything. Launch any new Nintendo console with something like that built in (imagine if the Wii U had such a thing built in for example . . . especially with that touch screen and stylus input), and with a digital "store" for people to actually share all their creations, and, my God, that system would fly off the shelves imo. Maybe Nintendo will finally figure out the sheer genius of this concept when it eventually gets around to releasing a full VR system in the future. . . .
still no screenshots of the actual games! Come on, show us the good. Media Molecule's Dreams is going to make this LABO VR looks like trash. Nintendo is never serious about anything, or going in full force. They made 3DS, but barely use the stereo 3D. They made New 3DS, only a few games made use of it's speed advantage. They made HD Rumble, only 1,2 Switch made full use of it. Nintendo likes creating gimmicks and then lose interest after a while. This cardboard contraption idea and VR are just passing fancy for Nintendo. @Mr_Horizon There's a video in the news feed of the Switch. The games look very fun! @nintendolie I'm not saying you're entirely wrong, but HD rumble has been implemented quietly into quite a lot of games to interesting effect in my opinion, but it's never emphasised all too much since it's just an effect enhancing the game, not a selling point. The Blaster Master Zero games for instance have interesting HD rumble cues that tell you a lot about what's going on with your tank and feel pretty neat in my opinion. When picking up a coin in MK 8 Deluxe you could FEEL the coin sound in the controller. That aside, nobody is trying to even compete with Dreams, they're just trying to give their consumers a cool toolkit to fiddle around with. Of course they're not "serious" about it, it's a toy. Hence the name ToyCon. If some kid gets to play around with it and build something cool and maybe even learn a few things along the way this has more fulfilled its purpose. Watched the trailer yesterday and was instantly sold. This will be my first Labo kit. @r4ind4nce All other games are just vibrations. Only 1,2 Switch did something special that makes you feel something inside the joycon. I'm in for VR BIRD Pilotwings. Thanks so much for doing this video. I was really uncertain even though MY KIDS LOVE THE VARIETY KIT but your video gave me just the information I needed to decide this would be great for them too. Thanks again! Looks pretty cool. I love the subtle nes zapper stylings on the blaster. @nintendolie I do think you have a point there with HD Rumble really only being emphasized in 1-2-Switch. I want to get that game someday, if the price drops some. I'd like to see a game (1st party or indie) that does something similar. Maybe Nintendo will release a brand-new WarioWare for Switch within a few years! @nintendolie what about senran kagura reflexions? I hear that has hd rumble support! @Clamango thanks, I saw it now! Most NL readers seem to forget that sometimes, games aren't aimed at them. This is Nintendo taking what sounds like a well-crafted experience, and bringing it to a young audience, which is just a sensible thing to do for the whole industry. This could spawn the next generation of people interested in programming, and for many it'll be the first taste of VR. Just because we're "gamers" everything isn't all about us on here. This looks brilliant. I'm going to give it a good go. I do like the look of it. It is not true VR, its Nintendos VR. I might get this. Super VR Maker lol. BUt seriously sounds cool. I don't care about VR all that much so I hadn't taken much notice of this, but the ability to create your own games sounds pretty awesome so I'm now quite interested. Wow. This article actually makes me want to try this out. I am especially eager to try the bird game! I have always wondered what it felt like through the eyes of a bird. I feel a nintendolife 8/10 incoming!